Even though my parents were incarcerated at Poston, Arizona, I’ve developed a strange attachment to Heart Mountain after working on two films set there. I like to think it has something to do with the draw of the famous peak that gave the camp its name and cast its large shadow over this remote high desert region. 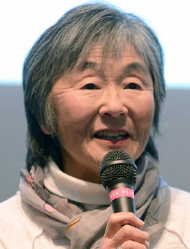 While confined there, celebrated artist Estelle Peck Ishigo even used it for the title of her book, “Lone Heart Mountain.” The lonely peak towering over the vast wasteland became a symbol of isolation, perseverance, and hope for many who lost their freedom while under its spell — a symbol that most likely inspired a number of artists like Ishigo, perhaps even Benji Okubo and Hideo Date, who founded a notable art school there. On one of many visits to the Heart Mountain Interpretive Center in Wyoming, I was fortunate enough to be there when a major delivery had arrived. Inside the archive office lay several pieces of stunning watercolor art spread across the tables. The story behind the discovery of this magnificent collection by artist Joe Nakanishi was fascinating. Apparently, Nakanishi had kept it completely to himself for decades while living in Los Angeles after the war. Only after his nephew discovered the art in his uncle’s garage did the beautiful work come to light. 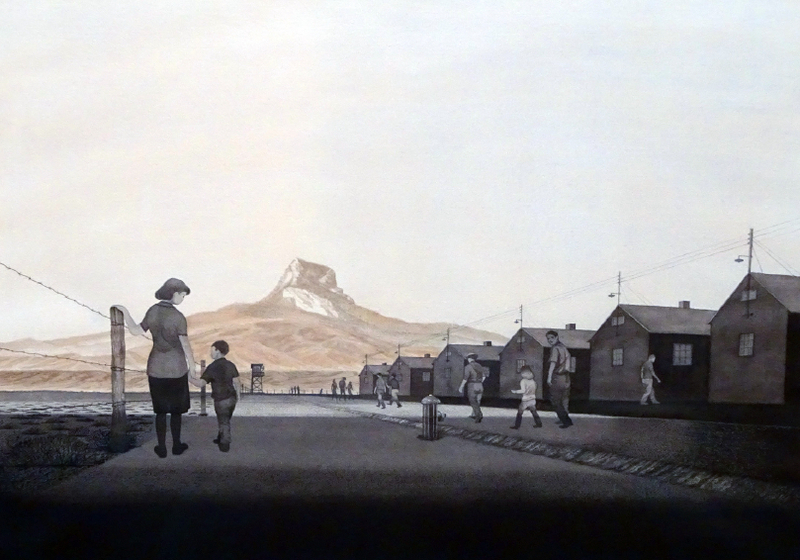 In 1942, Nakanishi had just graduated from high school when he and his family were shipped off to Heart Mountain. The 19-year-old fledgling artist had been contemplating going to art school when the mass evacuation destroyed his hopes. With no formal training behind him, he managed to keep a sketchbook of drawings during camp days and finally began taking art classes while still incarcerated. Apparently spotting his talent were people like Estelle Ishigo, who evidently acquired a couple of his mini watercolor paintings recently uncovered as part of the now-famous Eaton Collection, the huge collection of camp artifacts once threatened to be sold off at auction before being saved by a group of Japanese Americans who fought for its protection. The story behind Nakanishi’s camp art — now on full display at the Heart Mountain Interpretive Center — goes far beyond the Eaton Collection. Apparently, Nakanishi drew mainly pencil sketches while in camp and had hoped to turn them into watercolors at some point. That goal was forestalled as he began his long postwar journey to becoming a commercial artist. After relocating briefly in Detroit, he moved back to L.A. and finally built a career as a successful commercial illustrator for such prestigious companies as Disney, and was even responsible for the iconic design of the La Brea Tar Pits sign that features the saber-toothed tiger. When he finally retired in the 1990s, Nakanishi realized that his eyesight was starting to fail him. That’s when he decided to finish his long-envisioned project to produce watercolors of all the sketches he had made while imprisoned at Heart Mountain. Approximately ten watercolor pieces currently on display at the Heart Mountain Interpretive Center are the result of this postwar work. What is amazing about them is that they capture life in camp from the first-hand artistry of a young man observing everyday camp activities as it was unfolding. One amusing story Nakanishi tells involves the exhibition’s featured sketch of one of the guard towers. Apparently, guards and inmates were specifically told not to interact, but while Nakanishi was drawing the tower from the ground below, a guard noticed him. The drawing took Nakanishi more than an hour to complete, and the guard silently cooperated by standing prominently in his purview the entire time — as if to pose for the young artist. Now 96 years old and still living in Los Angeles, Joe Nakanishi is finally getting the recognition he deserves. His one-man exhibition, “Perspective: Joe Nakanishi,” began earlier this month at the Heart Mountain Interpretive Center and runs to May 4, 2019. 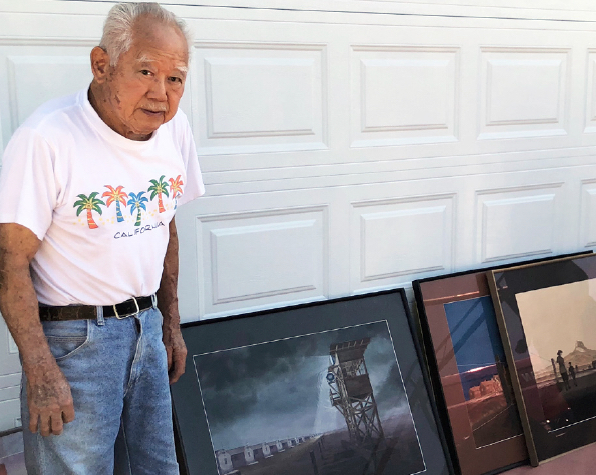 In typical Nisei fashion, Nakanishi prefers staying out of the limelight, but one can’t help wanting to learn more about the amazing young artist who used his talent to capture a time and place that had such a profound impact on all of us.